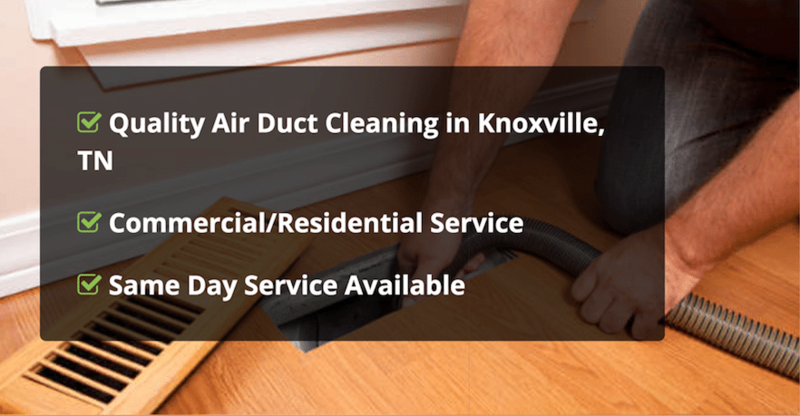 We provide professional air duct cleaning services in Knoxville to remove contaminants, dust and debris from your entire ventilation system. The air vents and ducts in your home are a critical part of the HVAC system. As air circulates through the HVAC, large particles of dirt, dust and other debris are trapped in the ventilation shafts. In our area of Tennessee, pollen deposits are also a significant health concern. Eventually, the buildup of these particles can start to damage your indoor air quality. Our professional technicians will use special equipment to dislodge and permanently reduce the dust and dirt in your HVAC system. Our cleaning service includes removal of the air vents, and scrubbing the ventilation shafts with Rotobrush tools to loosen, detach and force the particles out of the system. All air shafts are extracted using a vacuum with HEPA filters, so that the dust can be permanently removed. The Leading Cause of Home Allergy Problems is Dirty Air Ducts & Ventilation Systems! We are proud to offer professional air duct cleaning with the most simple and efficient process possible. 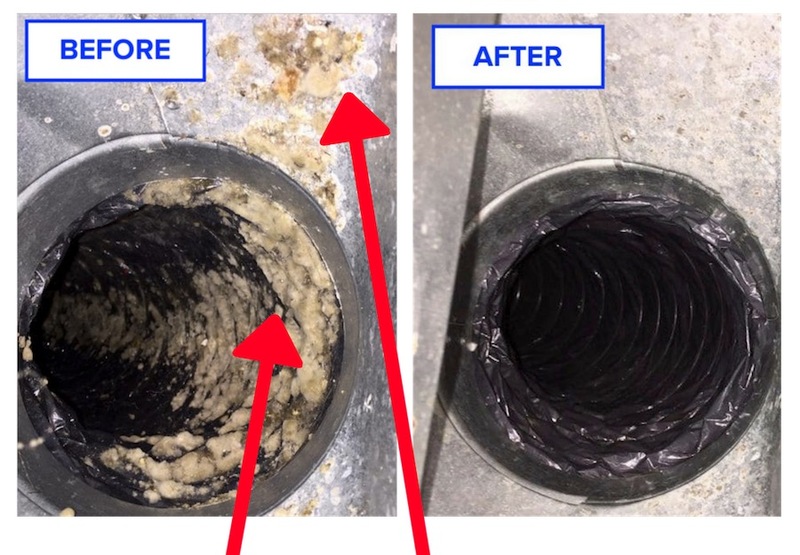 Using our air duct cleaning system, a rotating brush is sent throughout affected vents and vacuums all the way into the main trunk line. An excellent clean – guaranteed! An important but often overlooked area that is critical for successful cleaning. The ventilation areas into the air ducts and shafts trap large amounts of debris and dust. Many customers may notices this first, and attempt to clean these areas themselves, thinking it solves the duct issues. However, only a professional with the proper tools can clean the interior areas that you cannot see. It is in this area that large amounts of dust and allergens can collect, before becoming dislodged and recirculating through the vents. Clogged dryer vents are damaging to your electric or gas dryer. The lint can cause overheating and burn out the heating element or electric panels, which could be a $300 repair. Clogged dryer vents are also a dangerous fire hazard and should should be taken seriously. We clean the lint and particles trapped behind and around the drum to remove this hazard. You will notice an improvement in drying efficiency afterwards. Our technician first does a thorough inspection of the ventilation system, to identify and remove debris and obstructions in the shafts. 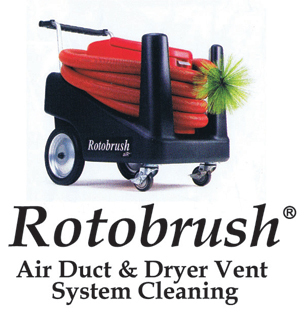 Using a Rotobrush machine especially designed for HVAC sanitation, a set of vacuums, brushes and tools scrubs the air passages to remove Mold Spores, Bacteria, Dust, Pollen, Dust Mites and other contaminants from the passageways. 90% of all HVAC systems break because of dirt and dust accumulated over the years. This buildup of dirt obstructs the ventilation shafts and prevents the free flow of air. This causes the HVAC system to strain beyond what is intended. Most allergies are a direct result of poor air quality inside a home or office. The most effective way to reduce these allergens in the air is regular servicing of the heating, ventilation and air conditioning system (HVAC). Tell us about your needs to get a Fast No-Obligation Quote!